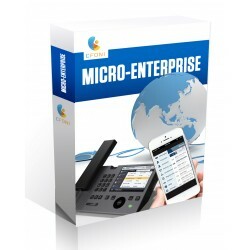 Why use Cloud Office Solution compare traditional phone? Many people do not know why we need to switch to Cloud PBX instead of traditional office phone. With 3 simple reason, Complementary Features, Easy to Install & Migrate, and Cost saving. Cloud PBX are so fixable that people can add an extension and channel anytime no hardware installation, no waiting time, just one click away. It’s has the full feature of what the traditional PBX system can do and do even more, you can simple bring your phone to overseas as long as they are internet access in your hotel or home. Feature like call forwarding, conference call or even call recording are available in today Cloud PBX system, it is because they are cloud base (internet base), and so they are no geographical restriction. Today offices are not only base in office building but also on the move and even work from home, with Cloud PBX system, you can simply install an App on your smart phone, and the calls will follow wherever you go. Some business even move to new office place but would like remain they old office number, this is possible with Cloud PBX system, as the number that you get from us will follow you for life, regardless which part of the world you are move to. Contact us! Why not switch to Cloud PBX. [email protected] or 03 2770 2510.